The methods of depreciation available include straight line, reducing balance, immediate write off, units of usage, plant & machinery, zero percentage and equal allowance. 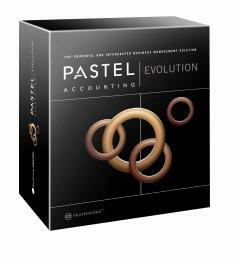 Pastel Evolution Fixed Assets seamlessly integrates with the core Pastel Evolution accounting system as well as all modules in the Evolution range. Fixed Assets can also be used in conjunction with Pastel Accounting Partner 2007. Evolution Fixed Assets has been developed within the Evolution FrameworkT - Softline's latest technology standard - all components and modules in the Evolution range are fully integrated and share a common interface providing a consistent user experience. In addition the utilization of the MS-SQL database ensures data integrity and maintains all your data in one central database.